In a hot pan, cook onion and garlic with the olive oil. Add the cherry tomatoes and cook for a few minutes. Finally add white wine and cook until all the ingredients mix together. 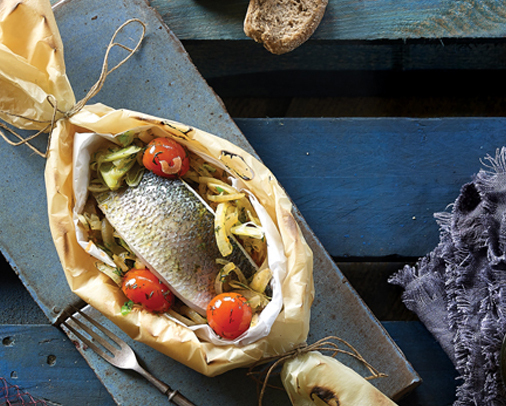 Make a packet with the parchment paper, place the vegetable mixture on the bottom and the fish on top. Season and bake in the oven.